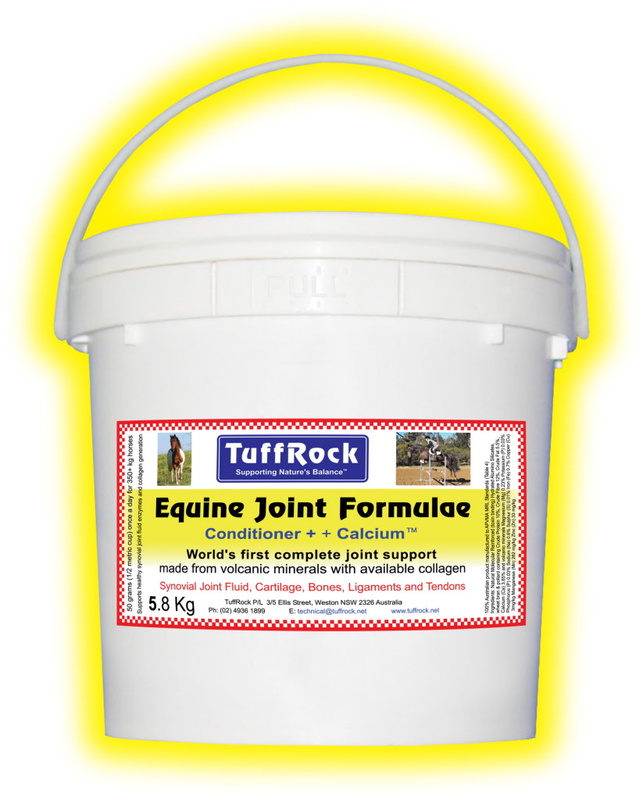 Tuffrock C+C is a powerful all-in-one natural feed additive for young horses made from the world's first energised volcanic minerals with available collagen in loose lick form. Looks like breadcrumbs, smells like salt & vinegar chips and the horses love the taste. Designed for Weanlings, Yearlings or older "Jointy" Horses. One 50 gram scoop a day, per 500kg bodyweight.